The USAF Master Sergeant 1986-1992 patch is associated with a Master Sergeant ranked official of the United States Air Force. These types of patches have been used by the United States Air Force to distinguish officials of different ranks. 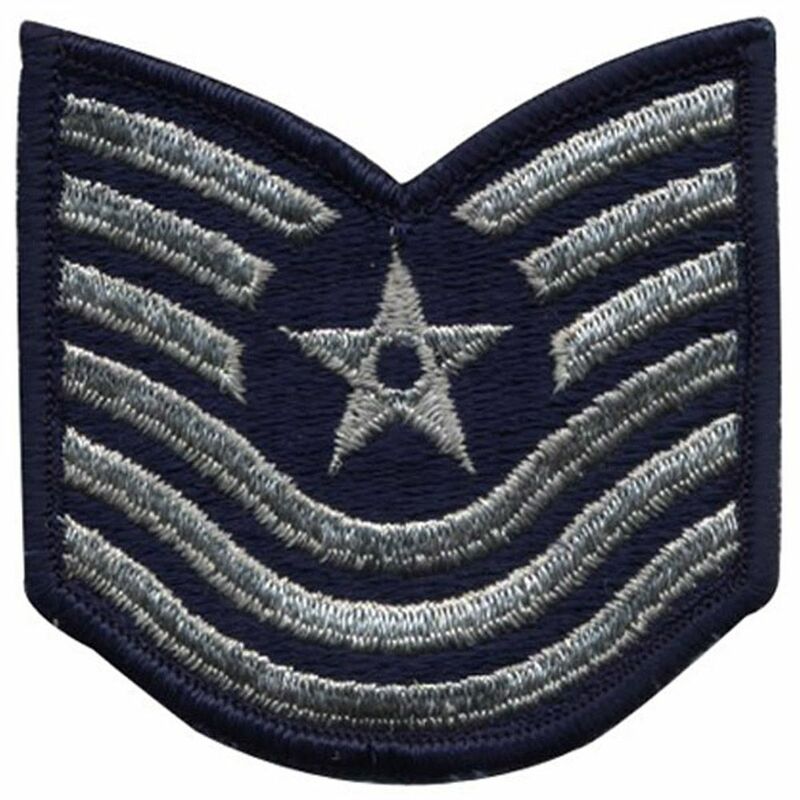 The insignia on this particular patch denotes a Master Sergeant ranked official who is ranked just below the Senior Master sergeant. The insignia has three sliver chevrons embroidered with an encircled star in the center and three more curved chevrons embroidered below the encircled star. Though the insignia has changed since 1992, this patch helps relive those old days. These patches come in a standard size and are sold in pairs.